Brand New Mattress and Brand New Carpet installed!!! 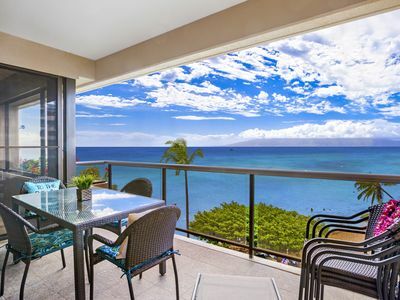 Hawaii Life Vacation Rentals presents the Reserve Collection- “Alohilani” of Mahana unit #718 a 1BD./1BA. 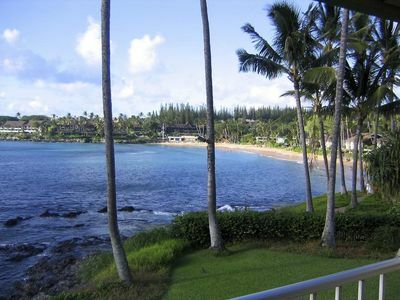 residence featuring the best direct beachfront location, panoramic ocean views, & year round sunsets. 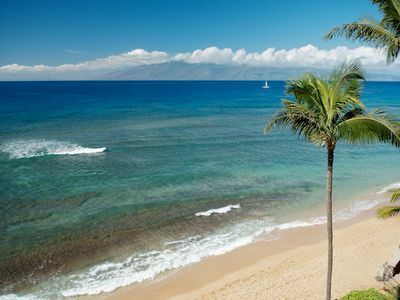 You can’t be any closer to the water & there is nothing like the Mahana in all of West Maui. 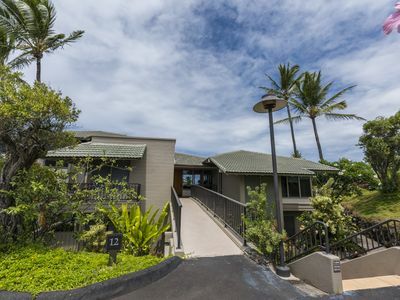 This residence is one stack from the corner in the Lanai Tower and the view from #718 is unobstructed by many of the large palm trees fronting the other residences. Note: Unit on the 8th floor and next stack over (819) will be having a kitchen remodel from April 7- May 22. Prices have been discounted. 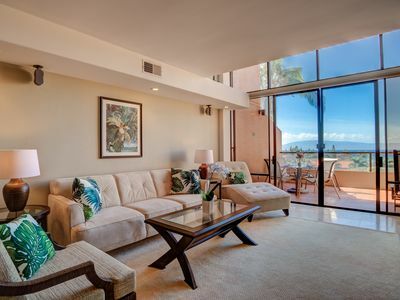 Returning guests know that "Alohilani" in Hawaiian means "heavenly brightness" and this residence truly gives you that experience with the large floor to ceiling glass windows which welcome the warm Hawaiian sun and the magical pacific ocean into the home. 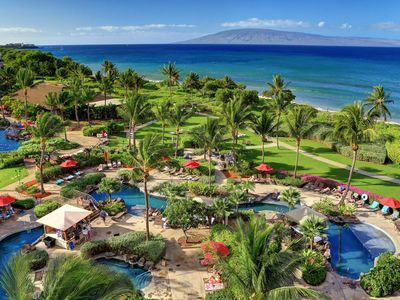 Gather, relax, and celebrate where the Mahana is consistently voted one of the top 5 in the Lahaina/ Ka’anapali area in West Maui. 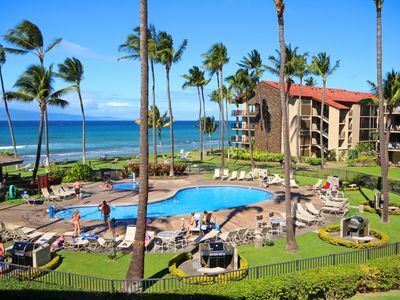 With resort amenities such as- FREE parking, wireless internet throughout and printing station in the lobby, ocean front shuffle boards, on site tennis courts, large ocean front swimming pool, relaxing jet spa, barbecue grills, activity desk/concierge, and so much more! 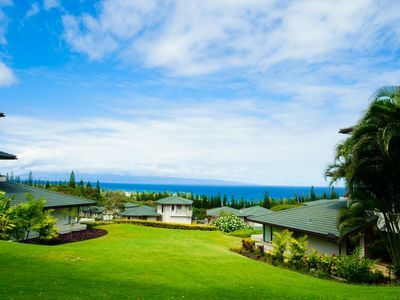 This property’s premium location in the heart of West Maui offers- 5 star restaurants, championship golfing, luxury shopping, and world class white sand beaches with stunning natural surroundings. 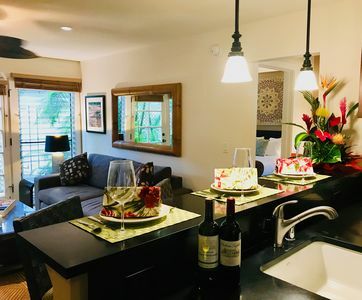 Get the inside scoop with our comprehensive home book in the residence with some of our favorite local places to eat and secret places to enjoy with your ohana. Sold on Mahana, why book Mahana #718? 1. 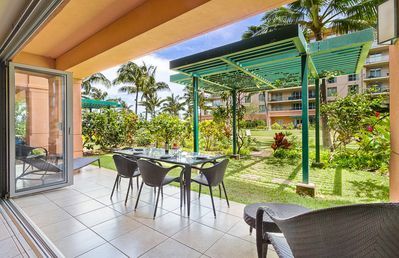 Superior Location- this ocean front and 7th floor unit provides unobstructed ocean views with no foliage views compared to other units. 2. 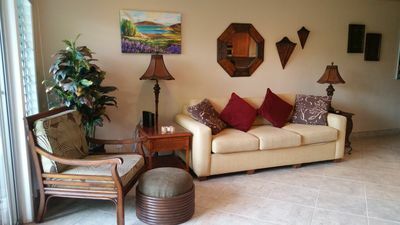 Service with Aloha- we personally greet you at the resort when checking in and spend about 30 minutes taking you up to the room and acquaint you with the specifics of the unit, the Mahana property, and all that West Maui has to offer. To our knowledge, no other company offers this same greeting/check-in service. 3. Pride of Ownership- our owners and management team take great pride in preserving this property to be in “like new” condition. We adhere to strict standards of cleanliness and quality control. Luxurious 820 sf.ft. 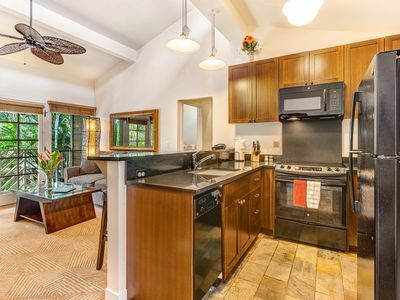 1-bedroom, 1-bath residence plus 118 sq.ft. 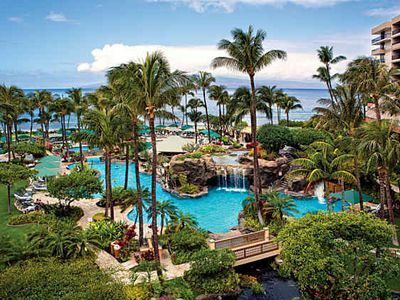 covered Lanai. The living room also has a comfortable queen fold out sofa. 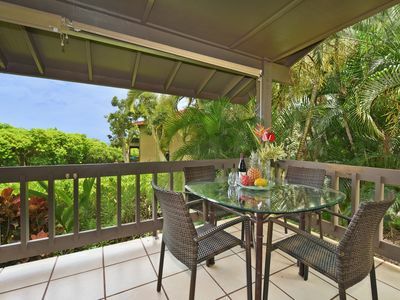 • Dining for 4 in living area at dining table plus four more on the outdoor lanai. Affordable Elegance: Summer and Fall Dates Available! 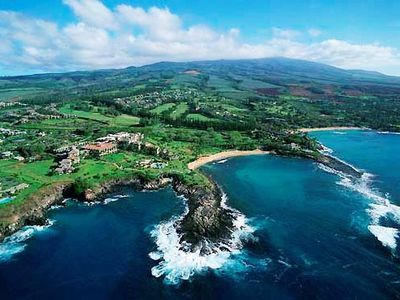 KAPALUA RESORT TOP FLOOR RIDGE Villa BREATHTAKING VIEW! GROUND FLOOR: April & May Dates OPEN!One from Ocean Front! !Best View & Location! 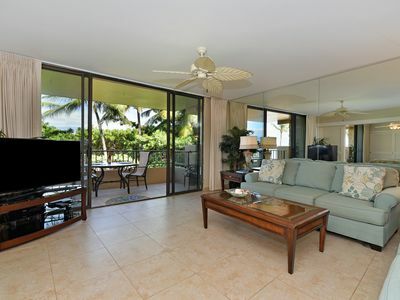 Aina Nalu Premium Platinum B202 Last Minute Special - Contact Us for Details! 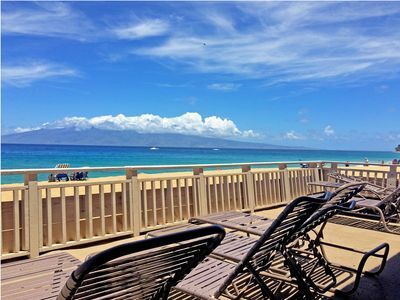 Luxury oceanfront condo w/mountain views, pools & hot tubs! Family friendly! 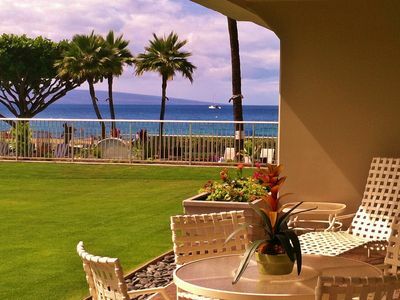 Maui Resort Rentals: Groundfloor Interior Honua Kai Konea 105, Large Lawn Area, Steps to Pools/Beach/B.B.Q.s! NEW! Beachfront, Beautiful 2018 Remodel, Amazing VIEWS! 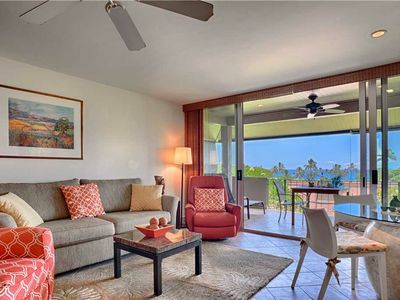 1690 SF, Hear the Ocean! 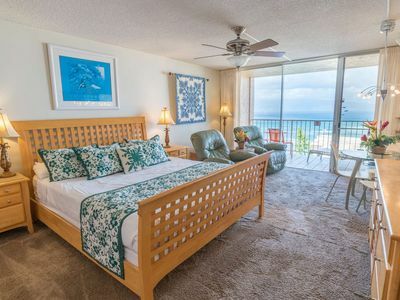 DIRECT OCEAN FRONT VIEWS! 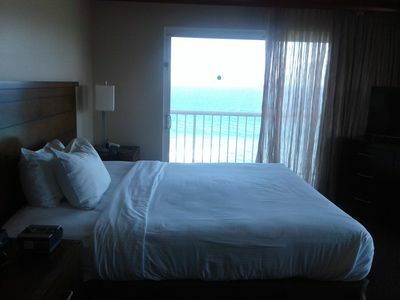 Watch whales from your room, even from your bed! My Perfect Stays: Only $199 a Night! Jun 10-14, NEW LISTING! OCEAN & A/C!